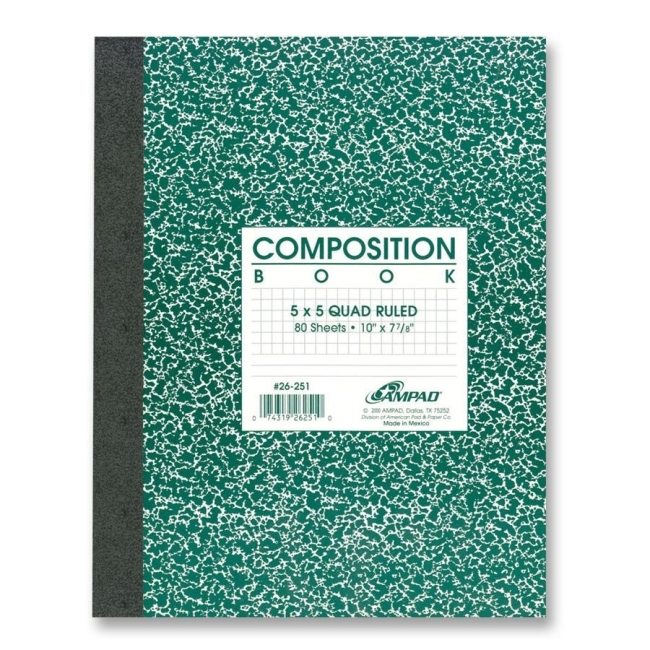 Composition book protects notes with a dark green, marble printed cover. Ideal for home, school or office use. Durable, Tyvek binding secures 80 sheets. 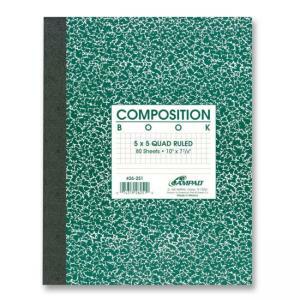 Each medium-weight, white paper is 5 x 5 graph-ruled.